International Congress on Structural Biochemistry, Stem Cells and Molecular Biology : Vydya Health - Find Providers, Products. 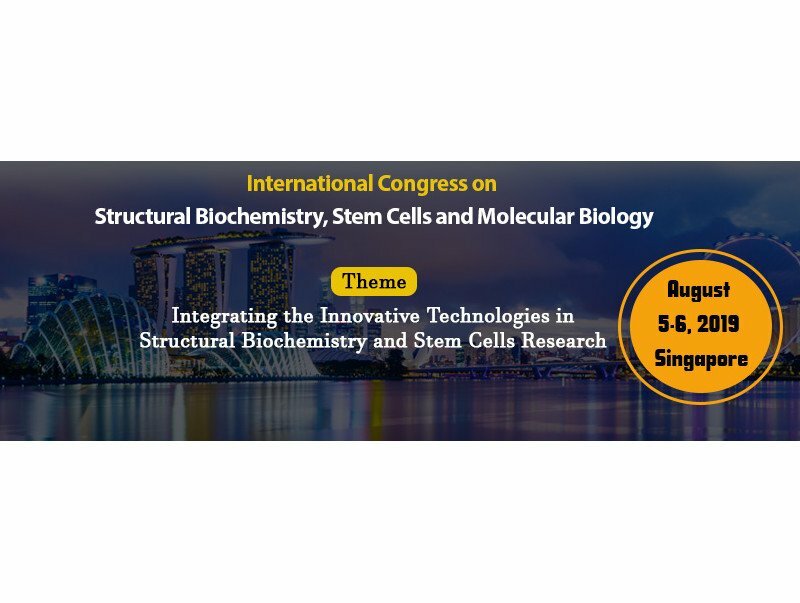 We are delighted to invite you all to attend and register for the “World Congress on Structural Biochemistry and Stem Cells” which is going to be held during August 5-6, 2019, Singapore. Structural Biochemistry 2019 has been designed in an interdisciplinary manner with a multitude of tracks to choose from every segment and provides you with a unique opportunity to meet up with peers from both industry and academia and establish a scientific network between them.